This historiographical revolution has its origin in the history of women which, traditionally, brought attention to individual women and their biographies. Recently, Jane Gaines and Monica Dall’Asta have instead stressed the need to work with “historical objects” rather than “historical facts”. While historical facts are built through (often arbitrary) narratives, historical objects instead register the gaps of the past and must be subjected to critical interrogation. As Gaines and Dall’Asta argue, historical objects make us maintain the awareness that just as we are removed from the past, we cannot claim to own it. For Gaines and Dall’Asta, researching from a feminist perspective means to start from material objects and to then evoke the image of the woman hidden behind them. This is an image that speaks to us today, in the present, while belonging permanently to the past. Gaines and Dall’Asta’s perspective is particularly appropriate to a study of Mimì Aylmer (aka Eugenia Spadoni, 1896-1992). Aylmer was an Italian film and theatre actress, diva, and public figure, active in both the theatre and film from the teens to the fifties of the twentieth century. Aylmer (figure 1) is rarely remembered in film history books because she played in only four movies during the silent period and these do not survive. Aylmer returned to the cinema after the coming of sound for another handful of films. Her life and activities are documented in an archival collection which consists of numerous newspaper clippings, received correspondence, notebooks with registers of the shows she interpreted, contracts signed, and more than three thousand photographs as well as an autobiography, published late in her life. These objects are not stored in a film library but in a retirement home for dramatic artists called “Lyda Borelli”, where Mimì Aylmer spent the last years of her life. These materials are historical objects that today ask to be interrogated with appropriate questions and methodologies. What does this mass of diverse documents and materials, collected and stored by the actress as ‘living diaries’ of her professional and private life – and of which cinema is only one of several components – say to us today? We need to highlight two preliminary issues before addressing the analysis of these materials. Firstly, it is important to recognise that in Mimì Aylmer’s life cinema is only one part of her larger artistic activity. This means that our historiographic work can (and sometimes must) pay attention to the movies not only from within, as a world closed in itself, but in relation to other artistic languages. What we consequently find is that stardom in Italy is not born with the cinema, but emerges with the theatre, opera, and so on. In other words, stardom and celebrity culture are phenomena that cinema highlights and amplifies – thanks to its mechanical and industrial nature – but which are already widely established in the forms of entertainment more popular at the end of nineteenth century, in particular dramatic theatre and opera. Consequently, the insight that Mimì Aylmer, as a ‘minor diva’, provides to film history is not related to the importance of her acting style nor the artistry of the movies in which she played. Aylmer is important instead for the intermedial aspects of stardom that her archive reveals and that encompass the idea of cinema that she lives and practices. Secondly, the repository where these objects are stored ‘speak’ in their name: the place is not indifferent to the nature and type of the materials. In this case, it is a rest home where Aylmer collected the most important memories of a lifetime. The materials in her archive – that she likely put into order to survive her – are a self-defensive and possibly eulogic monument to herself and to her memory. Alone and devoid of money, without relatives and with few friends, Aylmer wrote an autobiography titled The Romance of My Life (Il romanzo della mia vita [Milano: Gastaldi, 1966]). Aylmer lived in hope – perhaps in vain – that her life and art would be remembered. Memorialising her life and art is precisely what we will do in this essay, while trying to avoid arbitrary interpretations. We do not claim to fill the gaps or doubts that historical distance has left. We begin, the first part of our paper, by rebuilding Aylmer’s professional career in the music hall, theatre, and cinema. 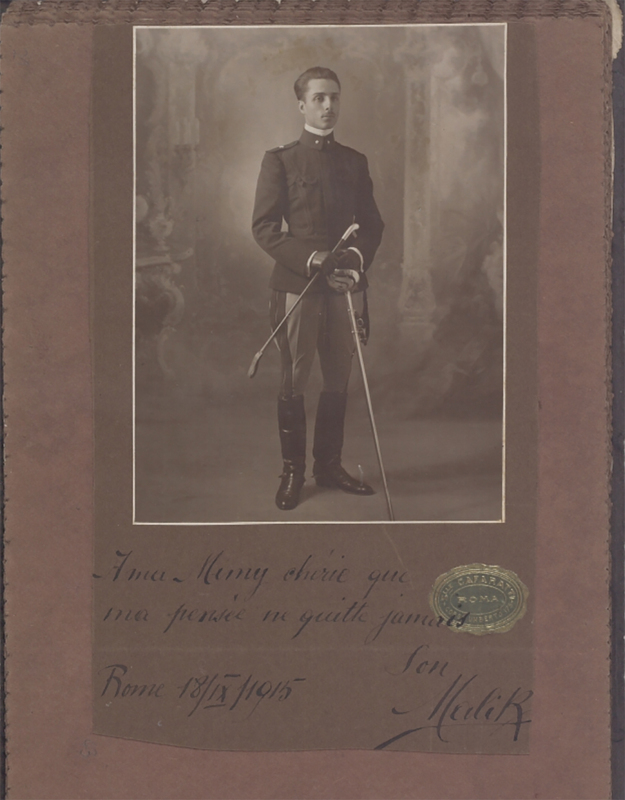 In the second part, we examine the corpus of photographs of which Mimì Aylmer is subject or author. Finally, we will explore how the actress built her image as a public person, and as a star, within a specific sociohistorical context. At the opening of the twentieth century, entertainment in Italy was varied and served many different audiences. Entertainment ranged from the café-chantant to vaudeville, from cinema to operetta and prose. Many attractive, well educated, middle-class girls with an artistic inclination desired to enter show-business in order to achieve fame and success. Often, through a performance that involved their body, they sought to acquire a role on the public stage. In Mimì Aylmer’s case, her decision to enter show business was related to her abandonment by her father and the subsequent necessity for her to take care of her mother, to whom she remained attached all her life. Although very young, Aylmer was convinced that she was talented, pretty, and well educated, and that she could become an artist. She made her debut in the café-chantant at fourteen, earning very modest pay, and in a short time gained a certain appreciation from critics. Aylmer was immediately aware that in the café-chantant she frequently had to change her image in order to remain in the public eye (figure 2). In fact, she tried to put the variety of her talents on display. Since she knew English she presented herself as an “Anglo-Italian starlet.” Later she was publicised as “The only artist in Italy that accompanies herself on the piano while singing songs.”  By 1914 she was playing in music halls, where her theatrical skits were enhanced through a tenous plot that – as was typical of this kind of entertainment – linked the various numbers. Here she replicated the fame she had enjoyed in the café-chantant and her earnings increased. During one of her shows in the music hall, Aylmer was noticed by Mario Caserini who was the director of the production company Film Gloria. Caserini offered her the opportunity to enter the cinema industry. Aylmer played in some silent films: Colei che tutto soffre (directed by Amleto Palermi, 1914), Ri Ki Ki (directed by Eleuterio Ridolfi, 1918), Quando nacque la vita … il dolore la uccise! (director unknown, MICA production, 1918), and Il trittico dell’amore (directed by Ugo Falena, 1920). These movies, where she starred in melodramatic or comic roles, have not to our knowledge survived. We do not, therefore, have any idea about her acting style on film. In 1918 Aylmer decided to switch from film to operetta, sensing the vitality of this cheerful, lightweight kind of show. At the end of the First World War, genres of entertainment were quickly changing. 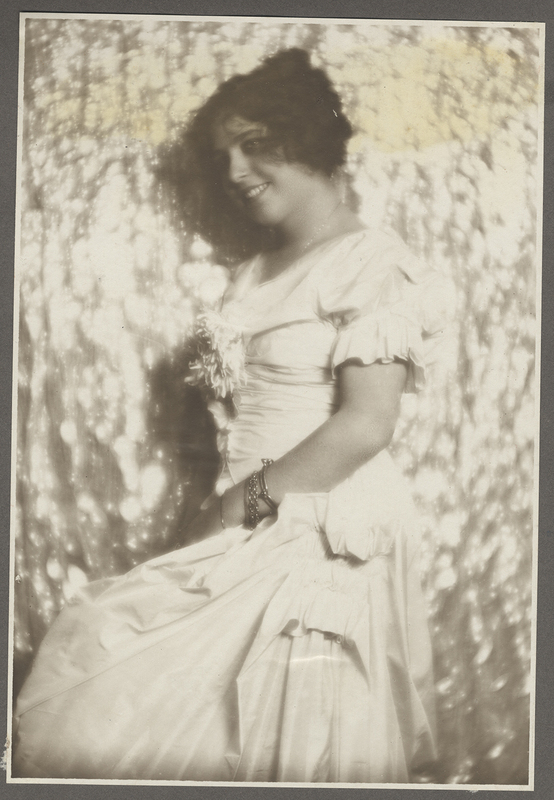 Aylmer wanted to improve her show-girl image because she felt that it had become linked to an expressive form of theatre that was of little artistic value: she could sing, dance, act, and was widely supported by illustrious friends. For Aylmer, operetta represented a kind of performance that was artistically more complete that film. Operetta also gave her the chance to gain an important social presence. Indeed, the roles of lively and effervescent characters typical of operetta extended to her private life. During these years, Aylmer became the object of gossip concerning a love affair with Prince Umberto of Savoy, the son of the Italian king (then a boy of sixteen years) who often came to see her in the theatre. Aylmer consequently returned to the cinema – this time to sound cinema – in 1932, responding to a request by Emilio Cecchi, the director of Cines, the foremost Italian film company. Her experience in the theatre allowed her to interpret energetic and interesting film roles (mostly in comedies). But, once again, the relationship between Aylmer and cinema was problematic. In her memoirs she claimed not to love films, and that she had accepted them only for the advertising and promotion that they offered (figure 4). Her career as an actress ended with the Second World War: despite her skill and commitment in building performance adapted to different roles and genres of spectacle, she was not able to adapt herself to this new era in Italian entertainment history. During her life, Mimì Aylmer collected more than three thousand photographs. Most of these were taken between 1912 and the 1930s. In twenty-four large, hardbound albums, Aylmer alternated photographs of scenes, portraits, and snapshots of her personal life with photographs of public events also taken by herself. The disposition of the photographic material evokes a strong continuity between private and public life, between her image as subject and her role as author of the photos, but also between her own individual memory and collective memory. Furthermore, the meticulous care with which she ordered the photos suggests her desire to show herself to an imaginary spectator, while creating a memorial that could serve both as a personal and collective record. By documenting and analysing the materials in her archive as historical objects – and by paying particular attention to her photographs – we want to bring to light a profile of the actress that is more authentic and immediate than the sole written record that remains of Aylmer’s life, her autobiography. Our work explores the archive as testament to the way Aylmer builds her own public persona and develops her stardom. The picture postcard is of fundamental importance to the process of democratisation of art, and the commoditisation of the body of the star initiated by photography. 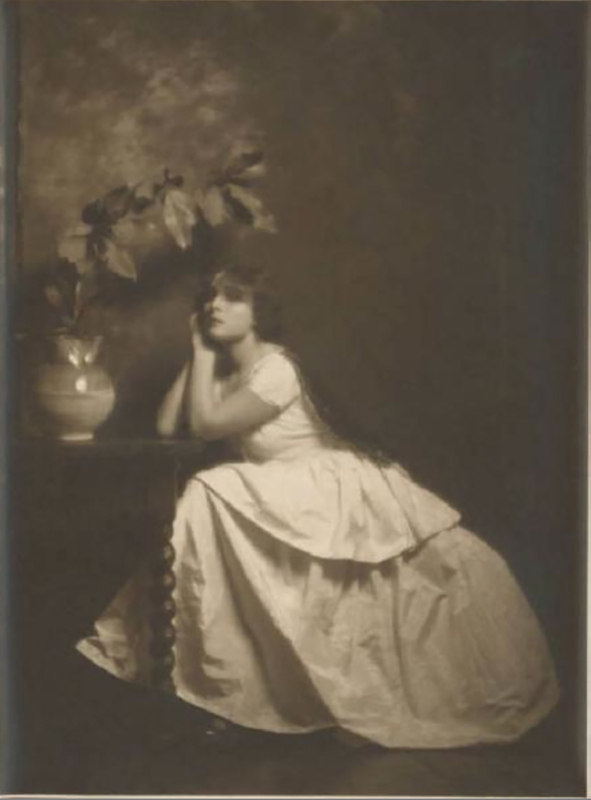 Mimì Aylmer, as a modern woman, perceived early in her career how efficient the picture postcard would become in advertising, and she readily posed for photographers. She allowed cheap and large scale prints of her artistic and refined portraits. A large number of these are still conserved today. Sometimes, her picture postcards try to bestow artisan value upon the cold machine-made look of the photographic portrait through manual retouching. At other times, her dedicated autograph to fans testifies to the actress’s desire for proximity with her audiences. Another trait which associates Aylmer’s poses and picture postcards with the movies is their serial nature. This seriality can be glimpsed by looking in succession at the large number of snapshots in which Aylmer’s dress and background remain unchanged. Such seriality is reminiscent of the succession of frames on the movie screen, introducing a hint of variation which fascinates audiences. 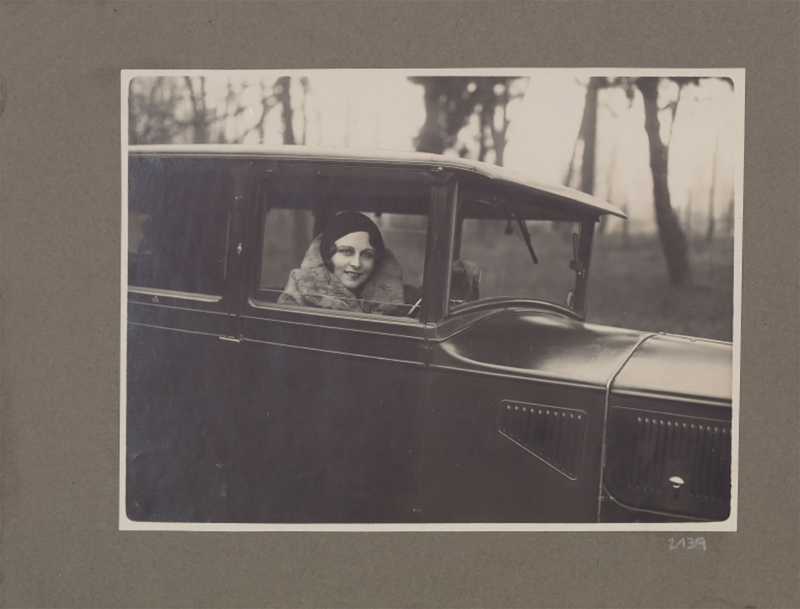 Numerous photographs attest that driving an automobile was another pursuit that Aylmer cultivated with particular passion in order to increase her fame and eccentricity. In that period, driving was primarily a male prerogative. Aylmer instead turned it into an occasion to be admired and to acclimatise herself to a modern world (figure 7). In her sportswear, she tried to look like exceptional women such as Greta Garbo, Isadora Duncan, and Sonia Delaunnay. In 1927 she participated in the first Grand Prix of Monza and in subsequent competitions that yielded her numerous interviews and photographs in magazines. In 1929, her appearance on the first page of the Gazzetta dello Sport, the most authoritative Italian sporting newspaper, increased her fame considerably. Vincenzo Lancia, a leading industrialist in the company of the same name, suggested that she take part in the Mille Miglia Cup, which was among the most famous car races in the world. This race had taken place since 1927 on a thousand mile route from Brescia to Rome and back again. Aylmer joined the third staging of the Cup (in 1929). 1929 was a particular year because no foreign teams participated (due to the economic crisis) and because it was the first time the race was open to women. Of the two women who raced, Aylmer (despite being alone in the car) came in at an impressive twentieth place with her Lancia Lambda Berlina. The other female contestant, the Baroness D’Avanzo, withdrew from the race because of a vehicle breakdown. Aylmer’s automobile remained an important part of her life. It was the trusted means that made possible her continuous travelling for work or tourism. It also demonstrated her emancipation and modernity. Aylmer’s photo albums also feature clues about her private and social life that we cannot infer from other sources such as the press, her autobiography, or her correspondence. For example, it is difficult to establish Aylmer’s personal and political beliefs. Certainly, she had a fierce disgust for war – retrospectively testified by her autobiography – which had taken away her comforts, wealth, and fame. In general, the actress’s goal was to gain and nurture the friendship and support of influential and powerful people. This could be due, in part, to her status as a single woman responsible for an elderly mother. In any case, private experiences (fundamentally her romantic, family and travelling experiences) were moulded on the social context in which she found herself. Aylmer lived in a strongly military society in which a uniform epitomised the ideals of professionalism and masculinity. Due to this, the actress collected a great number of photographs in her albums of military men in uniform who called themselves her admirers. Often, she posed informally and uninhibited, alone, with two or more men. What stands out in the albums is the number of military men she counted among her lovers and friends, all of whom occupied high ranks, and who evidently represented the summit of the social ladder of the time (figure 8 ). Aylmer also received and carefully kept a great number of affectionate cards from famous acquaintances. Among these acquaintances we find writers, journalists, musicians and composers, comedians and poets. Aylmer, friend (and maybe lover) of the leaders, enthusiastically took part in public events. She witnessed them with her photo camera, and was often on the front line at political meetings and demonstrations. For example, she records the Dux giving a speech to the workers in Milan in 1930, in front of the Sforza castle. This recording of micro-history put her in contact with the historical events that she wanted to witness; she shaped and developed them through her photographic eye. 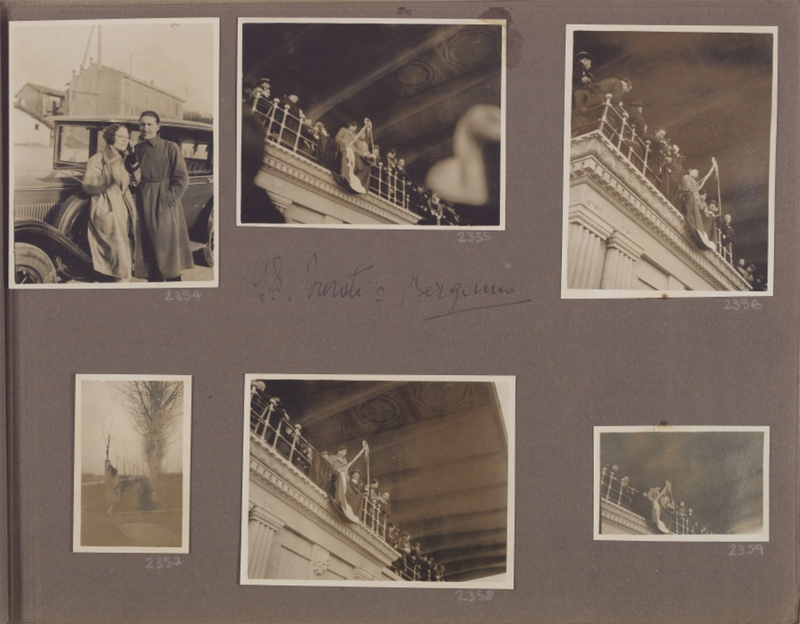 Nevertheless, the disposition of the photos in her albums where public events (such as the “review in Bologna,” 1922, which marked the beginning of the fascist era) are posed side-by-side – without evident links – with shots of her daily and personal life attenuates their ideological value, favouring instead her personal testimony (figure 9). A great number of images show Aylmer travelling for work or leisure, immersed in rural or marine environments, or surrounded by the monuments of cities like Venice, Turin, and Naples. She continued travelling even when she wasn’t obliged to for work. Travel became almost an obsessive aspect of her life, moved by her instinct to accumulate and discover. In these movements the camera is omnipresent: the mechanical automatism of the camera makes the mise-en-scène of her self possible every day, giving her personal experiences an iconic form. Each depiction of reality reveals itself to be in some way a self-portrait because it contains traces of Aylmer’s living relationship with her environment and with people with whom she comes in contact. 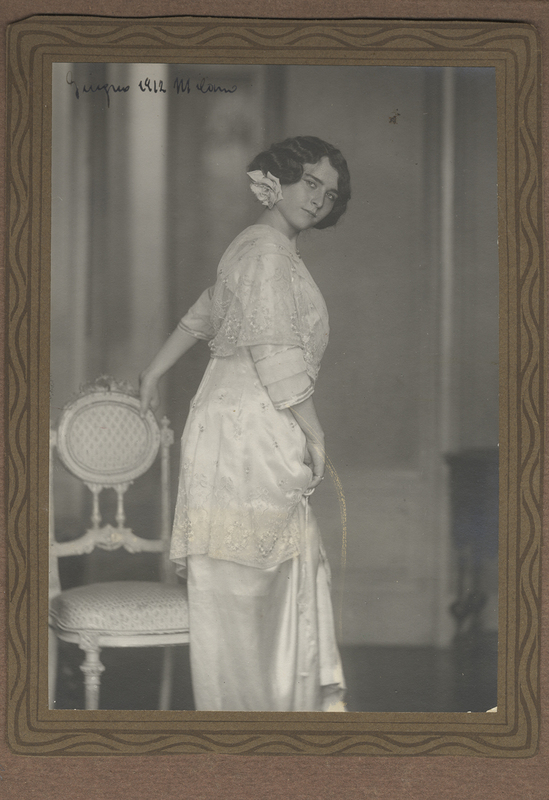 Accompanied in her travels by friends and admirers, Aylmer looks happy and carefree, an image that was shaped by other images of worldliness and successful women in the twenties and thirties. Nevertheless, Aylmer did not picture herself with anyone in an ongoing and stable way, since she never got married or had a long-term partner. 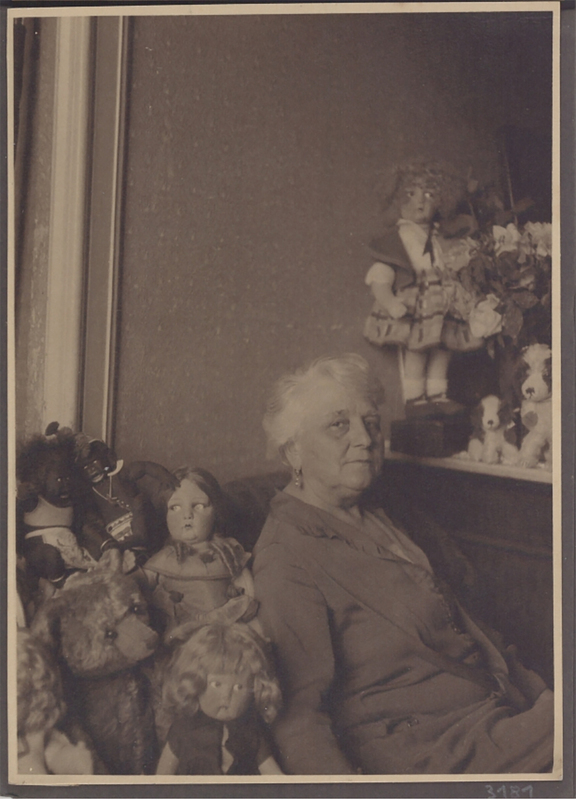 The Aylmer photographic archive contains a great number of photographs of her mother, all of which are very similar (figure 10). These shots, often taken sequentially, one after the other, visually immortalise her like a star. This might have been a game, or maybe it was an attempt to exorcise the fame of the daughter (that the mother had strongly desired but which afterward placed her in the shade, and in the background of her famous daughter’s life). In any case, Aylmer had an obsessive relationship with her mother: although she defined her as “my greatest love, the only real love in my life”, this figure influenced her relationship not only with women but also with men, and (maybe) inhibited her from marrying and from having her own family. On a closer look, the muliplied images of Aylmer and the documents kept in her archive therefore not only reveal her public persona but lead us to understand the hidden aspects that inform her life and behaviour, also revealing her psychology. What differentiates Mimì Aylmer from most major and minor stars – and what is specific to her archive – is her practice as a photographer. In this role, she was able to witness her artistic, social, personal and family life directly while at the same time producing material objects (i.e. her photographs) to record this. When we look in particular at the shots in which she photographs herself, we understand her active involvement in this process (figure 11). Private self-portraits become a performative act of creation (and narration) not only of history, but also of personal identity. In fact, with the shots of Aylmer in the mirror, using the automatic shutter release, we perceive the project of building a self. This is a project continually aimed at conquering and foregrounding a public image. 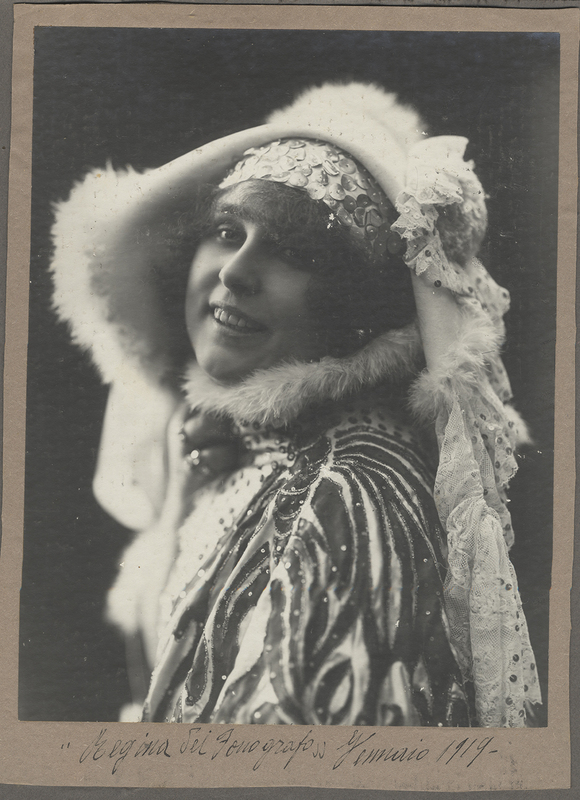 Aylmer played the role of first woman in the theatre, in the cinema, and on the social scene. She did this as a friend and lover of important personalities. Furthermore, she was a modern woman capable of using and dominating technology (the press, the media, photography and the automobile). Finally, through these images (as the historical objects mentioned at the beginning of our article) we understand the meaning of our own historiographical project. The study of the past never renders the past. Instead, it renders its image or, to put it better, one of its images. The study of the past renders that which cultural memory lets us better identify and decipher, without removing the enjoyment of constant and passionate research. We are grateful to Alberto Beltramo and to the “Fondazione Casa Lyda Borelli per artisti e operatori dello spettacolo” of Bologna. Within a common project of research, Elena Mosconi is the author of paragraph 1 and 2, while Maddalena Bodini wrote paragraph 3 and 4. Cristina Jandelli, Le dive italiane del cinema muto (Palermo: L’Epos, 2006); Cristina Jandelli, Breve storia del divismo cinematografico (Venezia: Marsilio, 2007). Angela Dalle Vacche, Diva: Defiance and Passion in Early Italian Cinema (Austin: University of Texas Press, 2008). Giuliana Bruno, Streetwalking on a Ruined Map: Cultural Theory and the City Films of Elvira Notari (Princeton: Princeton University Press, 1993). Monica Dall’Asta ed., Non solo dive: Pioniere del cinema italiano (Bologna: Cineteca di Bologna, 2008). The diversity of cultural contexts has determined different modes of stardom. In the United States, film stardom is related to the emergence of an industrial system of production, as Richard deCordova has demonstrated: see Picture Personalities: the Emergence of the Star System in America (Urbana: University of Illinois Press, 2001). The English case has more in common with Italy: see Christine Gledhill, “The Screen Actress From Silence to Sound,” in The Cambridge Companion to the Actress, eds. Maggie B. Gale and John Stokes (Cambridge: Cambridge University Press, 2007), 193-214. Jane Gaines, Monica Dall’Asta, “Constellations: When Past and Present Collide in Feminist Film History,” Keynote Address, “Doing Women’s Film History” Conference, University of Sunderland, UK, April 13–15, 2011: http://wfh.wdfiles.com/local–files/dwfh-full-programme/Monica%20Dall%E2%80%99Asta%20and%20Jane%20Gaines. Mimì Aylmer’s archive is stored in the Library of the “Fondazione Casa Lyda Borelli per artisti e operatori dello spettacolo” in Bologna, where the actress lived from 1964 to 1992. It is also partially available online at http://www.cittadegli archivi.it. On the importance of archives, see Vicki Callahan ed., Reclaiming the Archive: Feminism and Film History (Detroit: Wayne State University Press, 2010). Mimì Aylmer, Il romanzo della mia vita (Milano: Gastaldi, 1966) 23-28. Pier da Castello, “Colei che tutto soffre”, La Vita Cinematografica, 5: 38-39, October 15-22, 1914, 81. Luigi Pirandello, Si gira…. (Milano: Treves, 1916); Walter Benjamin, The Work of Art in the Age of Its Technological Reproducibility, eds. Michael W. Jennings, Brigid Doherty, and Thomas Y. Levin (Cambridge: Cambridge University Press, 2008), sections VIII- X.
 Benjamin, The Work of Art in the Age of Its Technological Reproducibility, section IX. Benjamin, The Work of Art in the Age of Its Technological Reproducibility, section VIII. When she entered operetta, she agreed to reduce her salary and to pay for her costumes; but in a few years, hired by major companies of Italian operettas, Aylmer had the opportunity to bring to the stage the entire repertoire in vogue in the country (i.e. La principessa della Czarda, La signorina del cinematografo, La regina del fonografo). She received a huge number of congratulatory cards at her debut by poets, playwrights, critics, military officials, and lawyers that probably facilitated her success. As she wrote: “I worked a lot for the plays, for personal study, for journalists, photographers, and maintained my social and professional obligations, etc.” See Aylmer, Il romanzo, 51. The reviews were very flattering; they brought attention to her “verve,” fluency, and elegance, even if her voice was not too powerful. Her success was very broad, and often the theatre was full. She declared that she wanted to exit the cliché of the frivolous “starlet” to become in effect a “prima donna”, a true actress and not just a diva. Perhaps one implicit reason, however, for this change was the fact that her voice was too weak to sing for a long time. 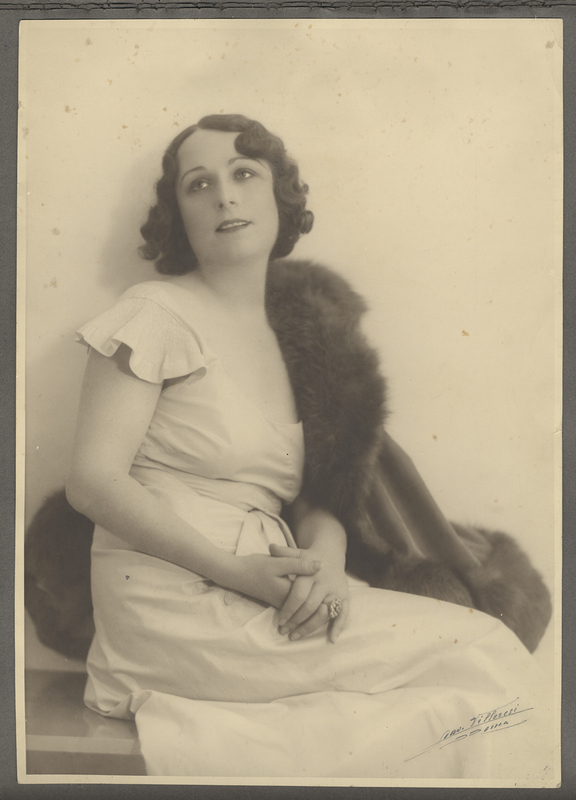 From a financial point of view, dramatic theatre initially brought her a loss: her salary went down from the 500 lire she was earning in operetta to 80 lire a day (but rising again to 250 in 1926). In a more general sense, the actress took part in a long process of transformation of the Italian actor from “mattatore” and histrionic performer into a disciplined and professional interpreter, able to be guided by a director. See Gigi Livio, La scena italiana (Milano: Mursia, 1989), 241-248. Cecchi invited writers and theatre actors to work in the film industry, to improve the cultural and technical level of Italian cinema; he referred to the theatre as a source for good actors who had voices suited to the new invention of the talkies. La straniera (by Amleto Palermi and Gastone Ravel, 1930), La telefonista (by Nunzio Malasomma, 1932), Due cuori felici (by Baldassarre Negroni, 1932), Sette giorni cento lire (Nunzio Malasomma, 1933), Come le foglie (Mario Camerini, 1935), Lohengrin (Nunzio Malasomma, 1936), Sette giorni all’altro mondo (Mario Mattoli, 1936, Arma bianca (Ferdinando Maria Poggioli, 1936). She appeared in marginal roles in two other films: Cuori sul mare (Giorgio Bianchi, 1949) and La vendetta del corsaro (First Zeglio, 1951). Aylmer, Il romanzo, 129. In the same years she advertised cigarettes and alcohol, and she had a fashion column in some magazines; she was also often talked about in the papers for her many love affairs, real or perceived. Keenan, Catherine, “On the Relationship between Personal Photographs and Individual Memory,” History of Photography 22, no. 1 (1998): 60–64; Jens Ruchatz, “The Photograph as Externalization and Trace,” in Cultural Memory Studies. An International and Interdisciplinary Handbook, eds. Astrid Erll and Ansgar Nünning (Berlin, New York: De Gruyter, 2008), 367-378. The crucial role played by photography in the promotion of stardom has been highlighted by David Mayer: “…recognition, fame and subsequent notoriety or celebrity are functions and achievements of existing and arriving print technologies and […] without the several commercially viable technical advances, photography would barely have served the actress’s or theatre’s purpose.” See David Mayer, “The Actress as Photographic Icon: From Early Photography to Early Film”, in The Cambridge Companion to the Actress, 75. Giovanna Ginex ed., Emilio Sommariva fotografo: opere scelte 1910-1930 (Busto Arsizio: Nomos, 2004). In the twenties and thirties, the complexity of the first photographic portraits gave way to rapid and less studied snapshots, trying to capture a split-second of false spontaneity. 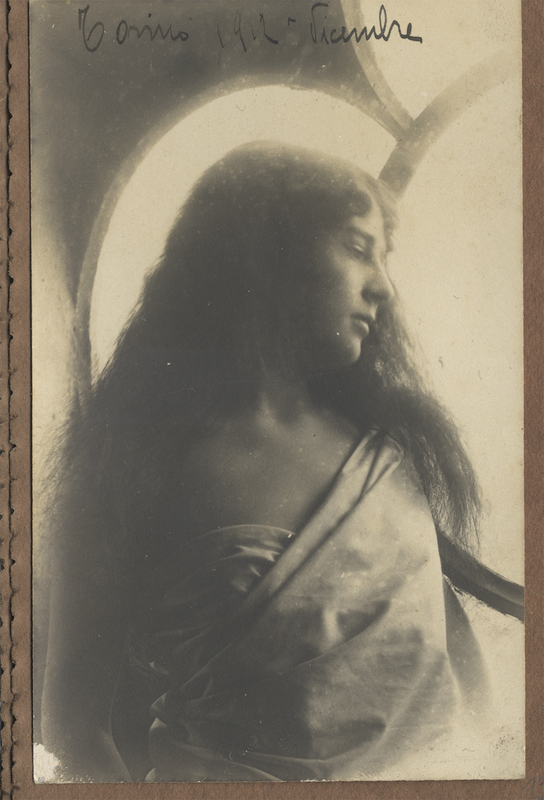 On the on the representation of female stars between painting, photography and film in Italian culture of early 1900, see the seminal essays of Ivo Blom, “Lyda Borelli e la nascita del glamour via pittura e fotografia, al cinema,” in Atraversamenti. L’attore nel ‘900 e l’interazione tra le arti, eds Silvana Sinisi, Isabella Innamorati and Marco Pistoia, (Roma: Bulzoni, 2010), 69-89, and Giorgio Bertellini, “Photography and Cinema, and Vice Versa,” in Italian Silent Cinema: A Reader, ed Giorgio Bertellini (New Barnet: John Libbey, 2013), 49-68. “If photography is essentially about scrutiny and observation, it must also be about the pose, for the pose is the subject’s presentation of his or her identity to the photographer, an act which ensures the preservation of that identity”: Gerry Badger, The Genius of Photography: How Photography has Changed Our Lives (London: Quadrille, 2007), 174. Whitney Chadwick and Tirza True Latimer eds., The Modern Woman Revisited: Paris between the Wars (New Brunswick, NJ: Rutgers University Press, 2003); Jennifer Parchesky, “Women in the Driver’s Seat: The Auto-Erotics of Early Women’s Film,” Film History 18, no. 2 (2008): 174-184. Peter Merriman, Mobility, Space and Culture (New York: Routledge, 2012). Indeed from the photos we can see that she was already driving in 1915, at the age of 19 (ALB. FMA 3259). Daniele Marchesini, Storia della Mille Miglia 1927-1957 (Bologna: Il Mulino, 2001). We must not forget that at the beginning of the twentieth century many ordinary people in Italy (and in Europe more generally) trusted more in military forces than in political parties. The performative dimension of Mimì Aylmer’s remembrance is testified by seeing how this material was subjected to modification as time went by, in order to organise it for a posthumous consultation (that of the modern-day researcher). The relationship between Mussolini and women was marked by the unbridled desire of possession and conquest. See Mimmo Franzinelli, Il duce e le donne. Avventure e passioni extraconiugali di Mussolini (Milano: Mondadori, 2013). Many Fascist leaders took advantage of their political power attract their female lovers. For a woman, having a love affair with a “gerarca” signified the possibility of gaining personal privilege (which of course was lost when the affair ended). The relationship began as a child and was later carried on, very affectionately, by letter (see Aylmer 35, envelope 2, Aylmer archive, “Fondazione Casa Lyda Borelli per artisti e operatori dello spettacolo”). However, during Mimì’s long tournée in South America it began to fray because of the rumour that Mimì had a secret relationship with prince Umberto di Savoia who travelled to America with the Italian navy while she was there. See Giordano Bruno Guerri, Galeazzo Ciano (Milano: Bompiani, 2001), 60-62 and 90. Presumably this relationship was of a purely friendly nature, in spite of the dedication of this photo which reads “To Mimì with remorse” (ALB.FMA 1194). The challenge for these women was to acquire the status of stars within a media and spectacle system not yet structured as an industry, where there were no press offices devoted to give shape and to spread the public image of the diva. Hence, actresses and stars had to endeavour to win the attention of the press and to bring themselves to public attention. Erving Goffman, The Presentation of Self in Everyday Life (New York: Doubleday Anchor Books, 1959), 56. Benjamin, The Work of Art, section 10. Miriam Bratu Hansen, Cinema and Experience: Siegfried Kracauer, Walter Benjamin and Theodor W. Adorno (Berkeley: University of California Press, 2012), 96. “The film responds to the shriveling of the aura with an artificial build-up of the ‘personality’ outside the studio. The cult of the movie star, fostered by the money of the film industry, preserves not the unique aura of the person but the ‘spell of the personality,’ the phony spell of a commodity.” See Benjamin, The Work of Art, section 10. Viv Gardner, “By Herself: The Actress and Autobiography, 1755-1939,” in The Cambridge Companion to the Actress, 184-185. 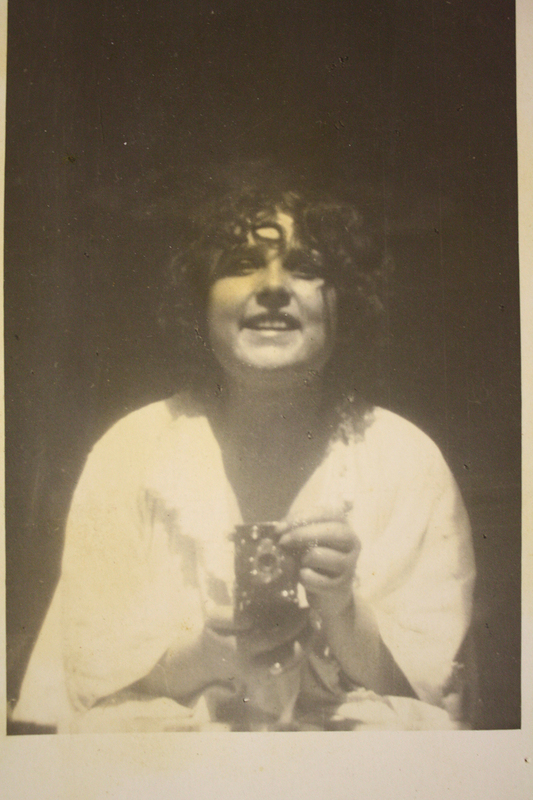 As Herbert Molderings and Barbara Mülhens-Molderings write: “The woman’s break with her oppressive pre-war image, her new liberties and her new vocational prospects, the shape and scope of which were still extremely unclear, found expression in the multitude of self-portraits taken by female photographers of the 1920s in an attempt at defining and asserting their new identity.” See Herbert Molderings and Barbara Mülhens-Molderings, “Mirrors, Masks and Spaces. Self-Portraits by Women Photographers in the Twenties and Thirties,” Jeu de Paume 3 June 2011, http://lemagazine.jeudepaume.org/2011/06/molderings/. Jane Gaines, “‘Are They Us?’: Women’s Work on Women’s Work in the Silent International Film Industries,” Italian Translation, “Esse sono noi? Il nostro lavoro sulle donne al lavoro nell’industria cinematografica muta,” in Non solo dive, 19–30; Kay Armatage, “The Women’s Film History Project and Women and the Silent Screen,” Screen 49 (2008): 46-67. Elena Mosconi is Associate Professor at the Università degli studi di Pavia. Her work focuses on cultural history and historiography. Her broader research addresses the institutionalisation of film and the historical relationship between film and the other arts. Her most recent book, The Impression of Film: Essays on Italian Film History 1895-1945 (Vita e Pensiero: Milano 2006), won the Limina prize awarded by the Italian Association of Film Professors CUC. She is the editor of Black on White: The Politics for Cinema in Eighty Years of ‘Rivista del cinematografo’ (Eds: Roma 2008) and co-editor of The Instant Multiplied: Beltrami, Comerio and Pacchioni as Photographers and Movie Directors (Il Castoro: Milano 2007), Italian Audiences: Rites and Places of Film Consumption 1900-1950 (Carocci: Roma 2006) and the special issue “Cinema e sonoro in Italia (1945-1970),” Comunicazioni Sociali1 (2011) (the latter co-edited with Massimo Locatelli). She is also a regular contributor to Italian and international reviews.